Quick overview This book includes full coverage of the content of professional studies modules and goes beyond to support trainees on placements and in their learning on the course. What drives schools and what challenges them? How do teachers manage behaviour? How do I prove that my children are learning? Discussing these and many more, it comprehensively covers professional studies modules and goes beyond to support trainees on placements and in their learning on the course. Case Studies to apply learning to real-life school contexts. 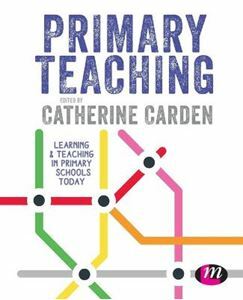 Key Readings to encourage wider reading, broaden perspectives and offer practical ideas for the classroom. Key Theory features introduce and summarise big ideas, theories and research. Critical Questions direct reflection, help students engage with what their reading and encourage critical responses. Classroom Links highlight good practice, provide practical ideas and show how to implement these in the classroom.